I once blacked out and woke up under six inches of fresh snow. Just crack open any local coffin. Fill the cavity with baking soda and red food coloring. Top it off with a little vinegar for an exciting, volcano-like, reaction! Remember, you can always send us an e-mail, like the Facebook Page, or follow the Twitter account. 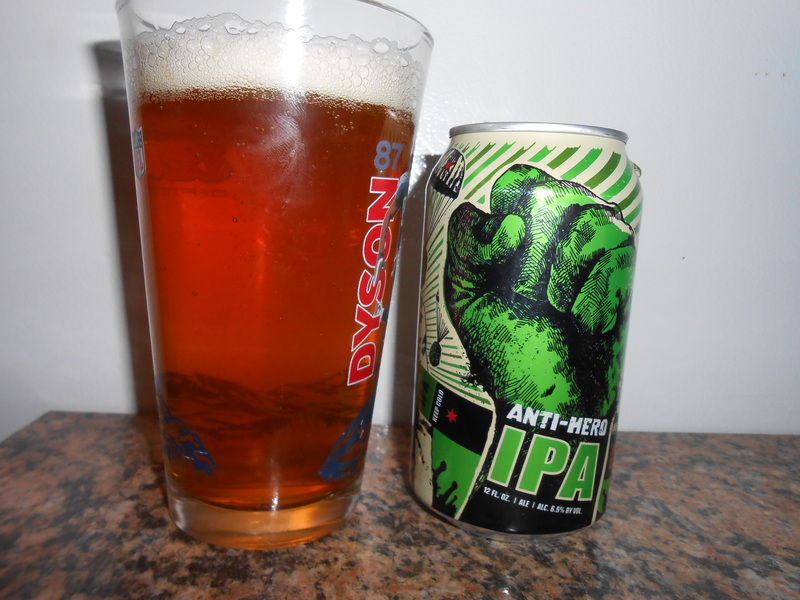 Here’s our review of Revolution’s Anti-Hero IPA. Smell: Big grapefruit up front. After that, it’s like walking through a forest in the fall. Maybe some hard, tropical fruit and some sort of herb. Taste: Never in a million years has something so bitter been so good. If one is looking for a lesson in balance then I’ve found your teacher. A strong, punch-to-the-face of bitterness gives way to a citrus and malt sweetness. The hops coat the mouth and stay on the tongue long after drinking. The aroma has carried over in a great, and refreshing, way. All of this is carried by a respectable, medium body that is more than capable of supporting that strong taste while keeping the beer clean and refreshing. Overall: I couldn’t be much happier with this beer. I hate giving out scores above 90, but to give this less than a solid 90/100 would be a slight to Dionysus. This is everything that I want out of an IPA. After having so many stinkers, this was like soaking up the rays on a tropical beach. And, as always, I’m a fool for graphic design and any microbrew in a can so it gets some bonus points. It only lost out a little because the grapefruit can be a bit much at times. Up Next: Something to summon an early Spring. A nice hefeweizen perhaps.